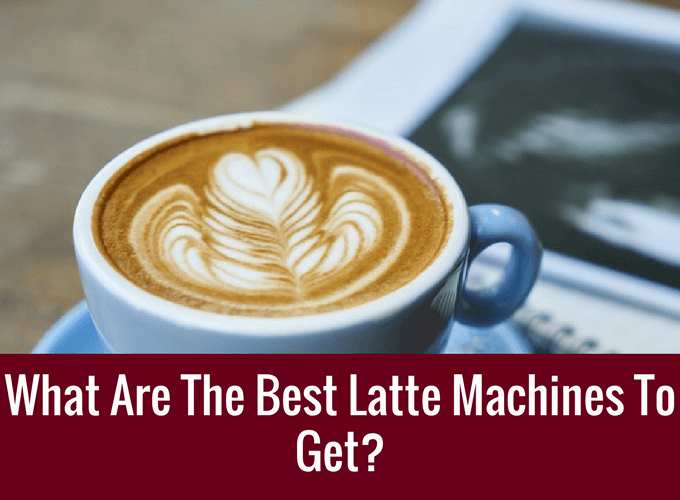 [REVIEW 2019] What Are The Best Latte Machines To Get? Caffe Latte came a long way since the 17th century. Originated as part of the european cuisine, the latte expanded across the globe, becoming a global phenomenon. Nowadays, you will commonly find them as a companion during breakfast or a partner on a busy afternoon. If you have come to find the best machine to make your latte. Read on. Latte is a coffee drink having lots of steamed milk with espresso shots, normally topped with half an inch of milky foam. Coffee latte is a short form of Italian Caffe latte which means milk coffee. Normally, lattes aren’t sweet; people can add sugar according to their taste. Different types of Lattes are served with syrup, raspberry or hazelnut. To make one, you need quality coffee beans, fresh milk, and a skilled barista to prepare perfectly frothed milk coffee. Milk. Obviously, fresh milk is essential for a good latte. Good quality milk helps you in getting smooth foamy texture. Coffee Beans. Freshly grounded coffee beans give amazing aroma to your coffee. What Should One Consider In Their Latte Maker? Good pressure pump. At least 9 bars of pressure is needed to extract maximum flavor from the bean. Adjustable level of milk frothing. This will allow you to adjust the foam consistency to your liking. External inlet for grounds. Save you the time to buy beans. Get fresh grounds instead. If not..
Take pods. You can select a latte machine which can take EFE (Easy Serving Espresso) coffee pods if convenience is your top preference. There are many Latte machines allow refillable coffee pods. Okay, now let's take a look at what are the better choices you could get. This machine comes in a range of beautiful colorful designs. It is a lightweight, compact and easily adjustable with any interior design. The two programmable buttons: Espresso and Lungo prepare the coffee drink within 25 seconds with the single push. It has a water tank has 23.8 oz. of water capacity which is enough to make 9 coffee cups in the same row. The machine offers zero waiting time. Nespresso Inissia comes with 19-bar pressure pump to offer impeccable coffee every time with its one-touch operation. The energy saving options turn off the machine automatically after 9 minutes. The folding drip tray automatically drops down to accommodate the large coffee mugs. Each Nespresso comes with a welcome set of 16 different aroma capsules to perfectly match your taste. Environmentally friendly. The Nespresso capsule system has recyclable aluminum capsules to prepare the high-quality coffee drink. Mr. Coffee ECMP1000 is one of the entry level automatic latte machine. It has an electric 15-bar pump system that brews rich flavor espresso. Mr. Coffee Barista offers a one-touch control panel that brews single shots or double shots. The preparation time is very fast, it takes only 15 seconds to make one coffee shot. This machine comes with automatic milk frother that changes milk into the silky foam. The froth level is adjustable from micro-foam to big bubbles. Mr. Coffee Café has an easily removable water tank that makes it easy to clean and fill up, and milk reservoir that conveniently safe the leftover milk in the refrigerator. The drip tray is easy to adjust and remove. It only weighs 10.37 Lbs and does not require much space. Nespresso’s coffee capsule with Delonghi espresso making technology offers authentic Italian drinks. Place a capsule in the top and adjust the milk container, place a coffee mug and press button from the one-touch control panel; and your latte is ready. DeLonghi espresso offers 19-bars pressure system that creates ideal water flow and extracts maximum flavor. This latte maker comes with integrated carafe milk dispenser with adjustable levels of milk frothing; it is easily removable. The espresso maker offers the built-in technology of Nespresso capsules that cuts the brewing process; all you need is to insert a coffee pod into the top of the machine. Nespresso offers three different coffee flavored pods: Mild, Fruity and Intense. Thermoblock heating system speeds up the rapid heat-up time to seconds and reduces wait time in preparation of Latte drinks; due to optimal temperature maintenance, espresso maker offers instant brewing time. VonShef Espresso makes the preparation of latte drinks a lot easier task. The espresso makers come with 15 bar pump to extract maximum flavor for the coffee; it can accommodate two espresso cups or one full-size latte mug. Vonshef espresso maker is supplied with single and double cup filters; hence no filter paper is required in preparing the latte. The steam control dial provides steaming features that effortlessly frothed milk with the help of steam wand; makes great barista-style espresso drinks. The espresso maker comes with transparent removable water tank with the 1.5L capacity to give you control over refilling the water; the dip tray is detachable and prevents the excess water from overflowing. This espresso machine comes with a 15-bar pump to make sure the rich crema and quality espresso. It comes with two options: either to use coffee grounds or pre-measured coffee pods. Pods offer more convenience in the preparation of your Latte. It is recommended to use Hamilton Beach Custom Grind coffee grinder in espresso settings. The two brew head spouts offer simultaneous brewing of two espressos a time. The water reservoir is removable; water can be added without turning off the machine power. The adjustable levels of steam control make quality beverages by making milk steamy hot to silky foam in few seconds. Hamilton Beach espresso has a detachable drip tray, brew head and frothing wand to make it easy to clean. Out of these choice, we would suggest to look at DeLonghi Silver Lattissima Plus first. With coffee pods, making the espresso needed is intuitive. Sleek and compact, it is also aesthetically pleasing to look at. With the patented single touch hot milk, adding that foam to your coffee to make latte as simple as it could be. Nespresso pods are also popular as their pods are recyclable. Drink your latte without pricking your conscience. Combined this with Delonghi, another big brand. It should set most people mind at rest. So if you are out there looking for a simple machine that does latte best, do check it out.